The Time Has Come to Take Over the World. Sherlock Holmes is missing. In his absence, evil villains from all over the world are plotting their takeover. Yes, it’s a good time to be bad, as everyone is completing their mechanical monstrosities with which their rule will be unchallenged. But which villain will come to rule? 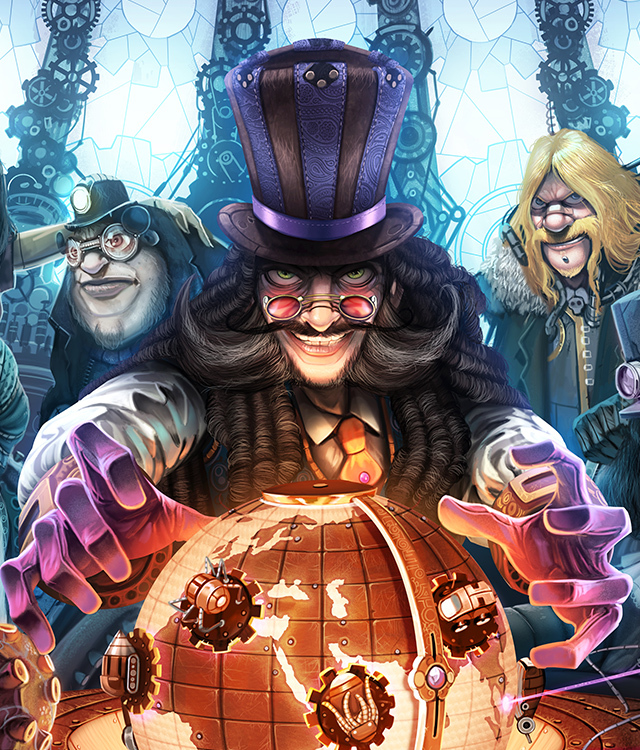 In Victorian Masterminds, players take on the role of supervillains, each trying to finish their mechanical marvels while stealing buildings from major cities and kidnapping scientists to do their bidding.